Jodie Daniel is the owner of Dead Sea Source. Jodie originally worked in the financial industry, which took her from Sydney to Melbourne and 3 years in London. This is where Jodie decided that after 10 years in the banking industry, it just was time for a career change. 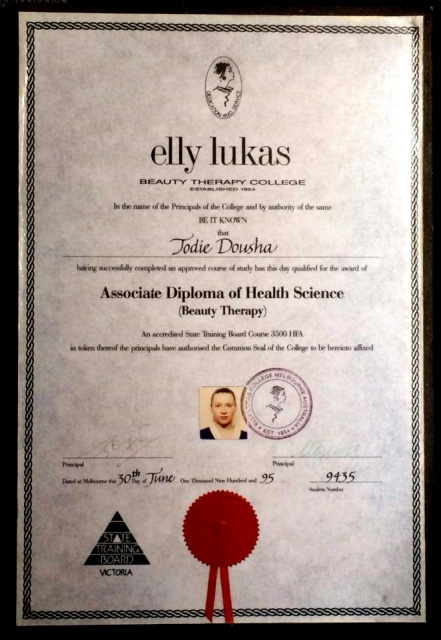 Whilst in London, Jodie started training for a career in beauty therapy. Returning to Australia she completed an Associate Diploma in Health Science, and opened her first salon; Beauty in Style in 1995. This salon grew from a small two room salon in Middle Park, to a huge two storey day spa salon in St Kilda East... and expanded to a 2nd salon in Glen Huntly. Since 1998 Jodie has used and recommended the AHAVA skin care range to her clients in the salons and seen magnificent results with a variety of different skin conditions. Married to an Israeli (Yariv); they have three beautiful children; Shaun, Shelli and Shani. After the birth of Shelli, Jodie sold the salons and created this online store. Unlike many skin care websites, this one is owned and operated by a qualified beauty therapist, with 20 years experience, who has used AHAVA (on herself and her clients) for more then 13 years. Feel confident that you are getting quality advice from a professional; not someone who just sells products. Feel free to contact Jodie by phone or email if you would like no-obligation advice or recommendations. AHAVA, Anna Lotan & Fresh Look are quality, salon use skin care ranges... with huge research and development departments at their laboratories in Israel. AHAVA, Anna Lotan and Fresh Look are not sold in shopping centre 'booths' or multi-level marketing (party plan). They are sold in beauty salons and day spas, around the world; and recommended by qualified aestheticians. H&B (Health & Beauty) spa products are one of the biggest selling skin care ranges in Israel.